AT&T 3B2 running SVR3 3.2 N/A N/A Working for emulation and reading. 1.2 (Earlier unreliable). 1.16 added reading support. Industrial Equipment OMTI 5200 ST225 Reading working and emulation mostly working. The computer timed out the hard drive at about 8 seconds. The beaglebone takes 12+ seconds to be ready so host computer needs to be reset after power on to boot. General Processor GPS 5 Xebec 104788D Rodime 252 Works for emulation and reading disk with format xebec_104786 and --begin_time 241000. The Beaglebone won't power up if the 5V takes too long to rise which is triggered by the power supply in this computer. 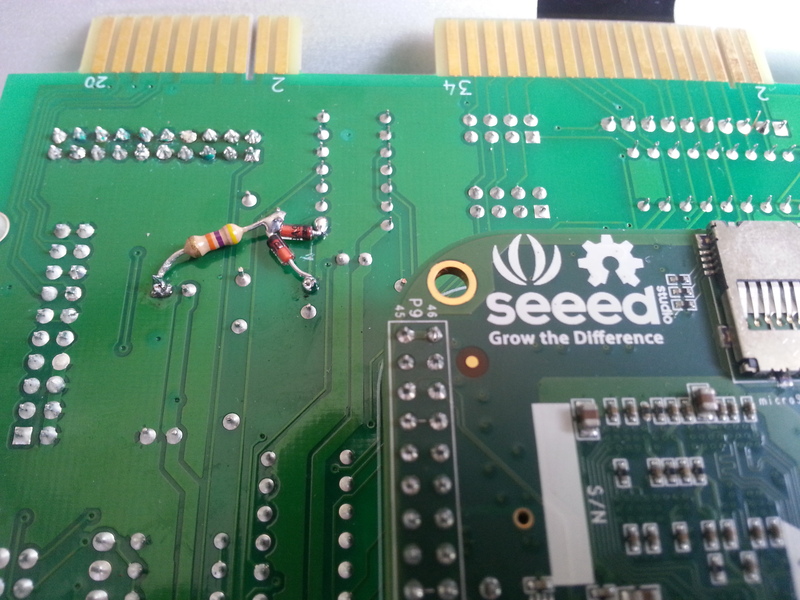 Installing 5.1k resistor for R25 and 1K resistor for R24 fixes the power up problem. BOM has been updated with these resistor values. Note 1: The DEC RQDX1-RQDX3 controller uses mixed format on the tracks. My software doesn't handle it well. When reading an existing disk it will report errors on the alternate format used for most of the disk. The data will be read and the emulation file will have the data though the alternate format not be checked for errors. When creating an extracted data file only the data for the format detected will be extracted. You can use the analyze on a track with the alternate format to extract those areas. You will manually need to put the extracted data files into one good file. Email me any test results you have.